Brand new housing kit for 943 Bobcat skid steer drive motors. Includes housing and thin thrust plate. SAE 2 bolt B mount. I can provide many more Sundstrand and Danfoss parts. Over 20 years of hydraulic experience. I personally guarantee that all parts are genuine unless specifically noted as aftermarket in listing. (I sell VERY few aftermarket parts). The item "New OEM 6631017 6649387 Housing Kit Bobcat 943 Skid Steer Loader Drive Motor" is in sale since Thursday, March 22, 2018. This item is in the category "Business & Industrial\Hydraulics, Pneumatics & Pumps\Hydraulic Motors". 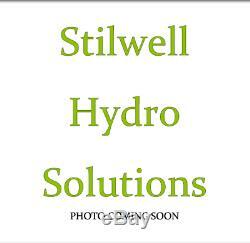 The seller is "stilwellhydrosolutions" and is located in Alma, Michigan. This item can be shipped worldwide.